I went for a quick stroll today down along the shores of Lake Ontario. While it was nice to hear a few waves the ice along the waters edge was not quite what I had in mind. So it was back to the studio to crank up the heat and dream of warm beaches. 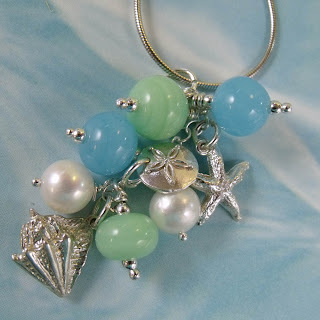 Today I present the waters edge cluster necklace.